Last Thursday a front-page Chicago Tribune (Dec. 17) story by Manya Brachear Pashman and Marwa Eltagouri awakened us locals to upheavals at suburban Wheaton College, which some—I among them—call the evangelical flagship in higher education. The first impulse was to be humble and dismiss the flap as an over-stressed local story, sub-headed as it was, “Prof suspended for views, not scarf…” This line seemed to report yet one more administrative fracas at one among hundreds of colleges. Yawn? A few days after the professor’s suspension, however, we find responses on the internet, e.g. AOL, to be running in the hundreds of thousands. Google the name of Professor “Larycia Hawkins” to see for yourself how widespread and diverse responses are to her decision to wear a hijab in an effort to spread understanding and good will. Those of us who have reason to admire much about Wheaton College—graduate education admissions officers and faculties recognize intellectual standards and achievements there—have had to make our way through the competitive releases and, less pleasurably, through many over-heated blogging respondents on both or all sides of the event. Thus, at one extreme, readers will find viral evangelist Franklin Graham remaining viral even at the very idea of Hawkins’ choice to wear a hijab during Advent to identify with Muslims, millions of whom are targets of viral and menacing attacks. They are guilty-by-association with murderous ISIS enemies of peace and freedom abroad and politicians and pundits at home. The hijab, the issue of solidarity, and Hawkins’ decision to wear one were not what led Wheaton to suspend Hawkins, however hard it may be for many in the Wheaton constituency and larger public to stomach. Let it be noted that both at Wheaton and, increasingly, in “mainline evangelicalism,” sophisticated understandings and expressions of tolerance are growing. She thus waded or splashed into one of the muddiest issues of theology, dogma, doctrine, piety, and practice in Christianity. The Second Vatican Council (in the document Nostra Aetate 3) can be read as being on the professor’s side. Hawkins also can cite Protestant theologians like Yale’s Miroslav Volf, and many more. Still, recalling associated issues like the Christian access to God only through Jesus Christ, as evident in the New Testament and, through the centuries in conciliar and personal debates plus sermons by profound Christians who hold conferences and seminars on all sides of the issue, many will wish that the current round of ponderings on the subject could have been occasioned by other sources. Many will wish, as well, that these ponderings could have been occasioned on other fronts, and in other contexts than those which cannot now be sequestered while Islam is being featured in so many political debates. But, however unfortunate the current framework for discussion of the subject may be, it is certainly valid, since witness to and concepts of God are central to both faiths in question. The best use of the administrative and public relations brouhahas, it seems to us who view them from Sightings' windows, is to accept the terms and enter new discussions, on conciliar, conferential, and personal levels. If participants can resist being viral and condemnatory or fire-branding, it is possible that this week in Wheaton can serve as one more inspiration for serious believers to take up the issue of the uniqueness of particular faiths. Some who participate, one hopes, may wear clerical robes; some, T-shirts; still others, hijabs as they take up the tasks newly forced upon them as well as freshly open to them. Pashman, Manya Brachear and Marwa Eltagouri. 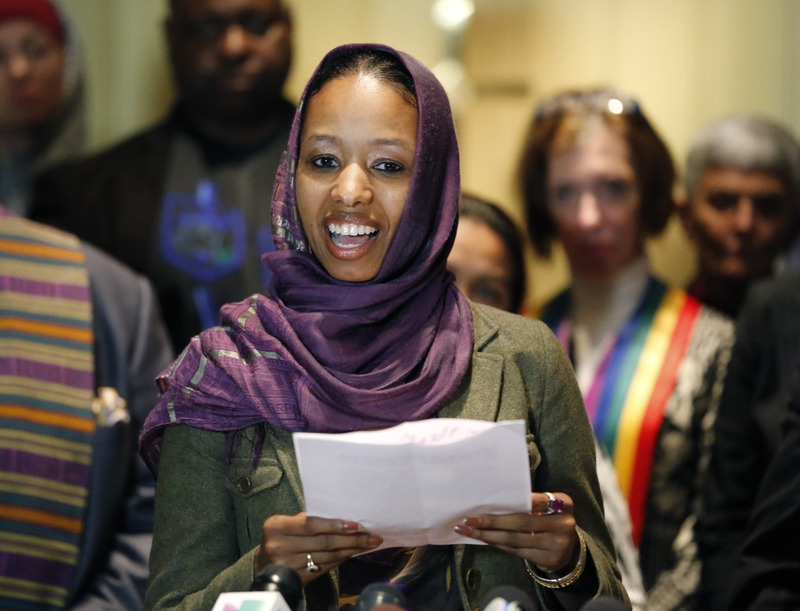 "Wheaton College says view of Islam, not hijab, got Christian teacher suspended." Chicago Tribune, December 16, 2015, News. Heath, Nathan and Ciera Horton. “Why we, Wheaton College students, are condemning Jerry Falwell Jr.’s remarks on guns and Muslims.” Washington Post, December 10, 2015, Acts of Faith | Opinion. Jenkins, Jack. “Professor Suspended For Saying Christians And Muslims Worship The ‘Same God’.” ThinkProgress, December 16, 2015, Education. An, Kirkland. “Do Muslims and Christians worship the same god? College suspends professor who said yes.” Washington Post, December 17, 2015, Acts of Faith. Smietana, Bob. “Wheaton College Suspends Hijab-Wearing Professor After ‘Same God’ Comment.” Christianity Today, December 15, 2015, People; Theology. Hauser, Christine. “Wheaton College Professor Is Put on Leave After Remarks Supporting Muslims.” New York Times, December 16, 2015, U.S.
Kosar. “Professor Said Christians Are The Same As Muslims—Rev. Graham’s Response Is GOING VIRAL!” The Political Insider. Accessed December 20, 2015. Nelson, Libby. “Why a Christian college could fire a professor for expressing solidarity with Muslims.” Vox, December 16, 2015, Identities. Beckwith, Francis J. “Do Muslims and Christians Worship the Same God?” The Catholic Thing, December 17, 2015. Image: Wheaton College Assistant Professor of Political Science, Larycia Hawkins, talks to reporters during a Chicago news conference, Wednesday, Dec. 16, 2015. Hawkins, a Christian teaching political science at the private evangelical school west of Chicago, is wearing a headscarf in solidarity with Muslims. Hawkins was put on leave Tuesday after making statements about the faiths' similarities that the college said conflicted with its "distinctively evangelical" identity. Credit: Charles Rex Arbogast / AP Photo.